We are proud to raise happy, healthy chickens. Our hens are free range which means our hens have access to the outside during the day and are never caged. 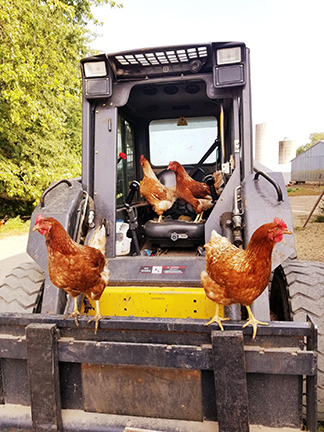 You Can Always Get Our Farm Fresh Eggs! We sell large and jumbo eggs. 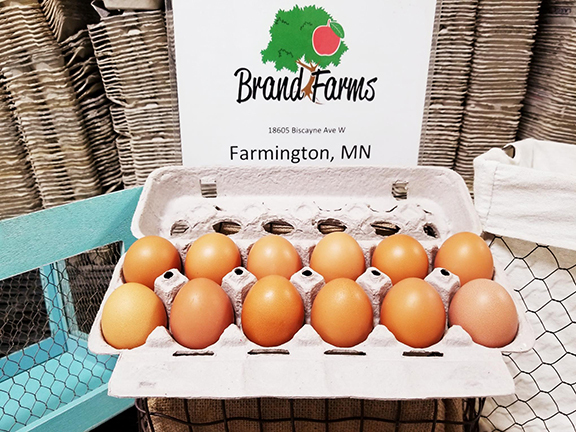 Our eggs are available year round in the egg room at the farm, seasonally at farmers markets and at the farm store in the fall. You can order them off the menu at the Bourbon Butcher restaurant in Farmington. So go there and order them off the menu and have a great breakfast made with our eggs!